The client was a safety and leadership consultant who had very recently begun that transition to working for himself instead of working for a large company. One of the struggles the client was having was that he didn’t have a professional face to his business – no branding, no business cards, no website. When he was approaching some potential clients, he had trouble closing the deal because of this fact. In order to create an effective brand for the client, we began with researching the client’s business, the industry and his competition. There was one major thing that allowed our client to stand out from other competition in his industry – our client didn’t want to just help companies to do what was required by law. He wanted to create a full corporate environment that was physically and mentally safe for all employees. 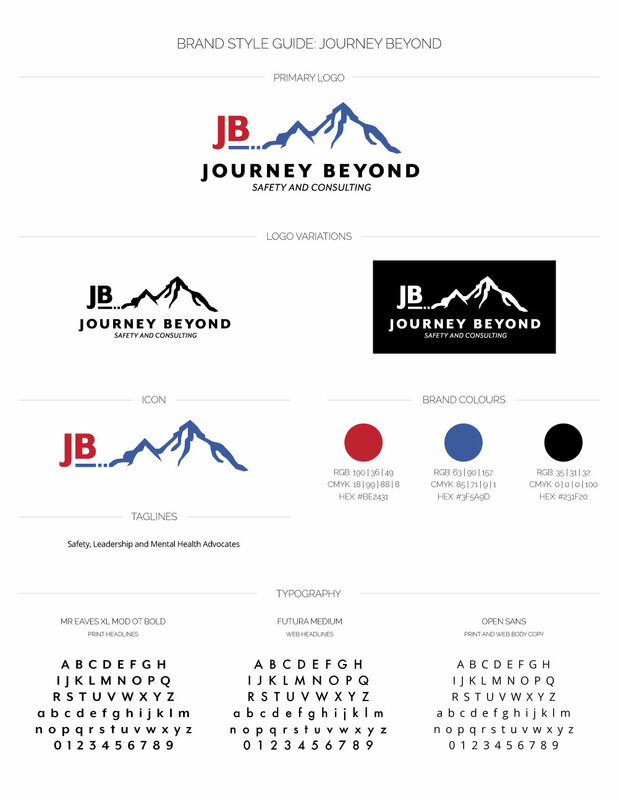 This allowed us to really work with the idea of going beyond just legislation, and create the brand image for Journey Beyond. 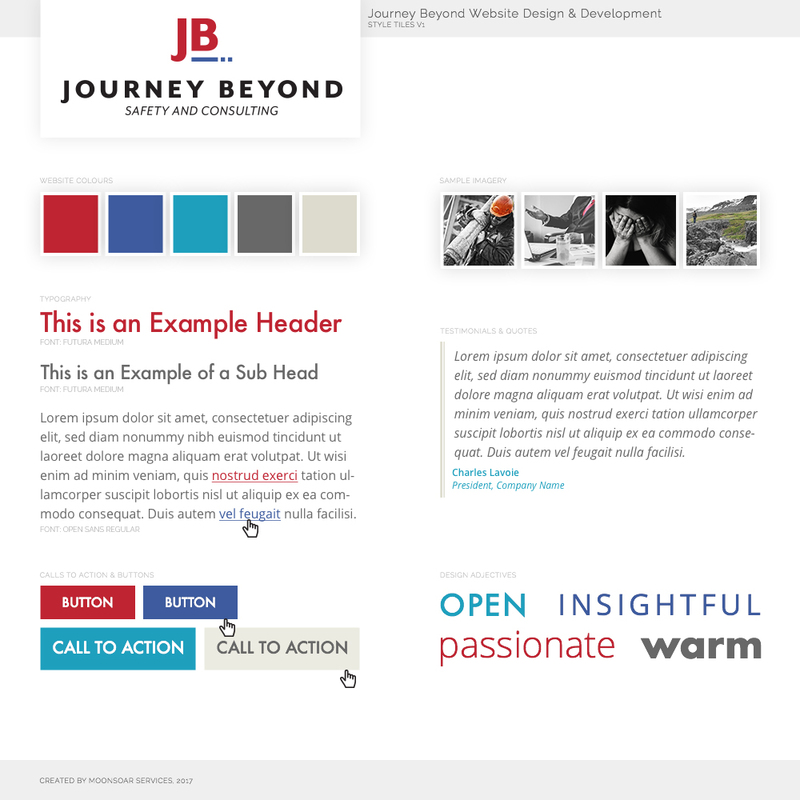 Once the brand image was created, we worked with the client to create some style tiles for his website. This helped define what imagery would be used, and allowed us to determine specific elements that were the same across all devices that accessed the website. 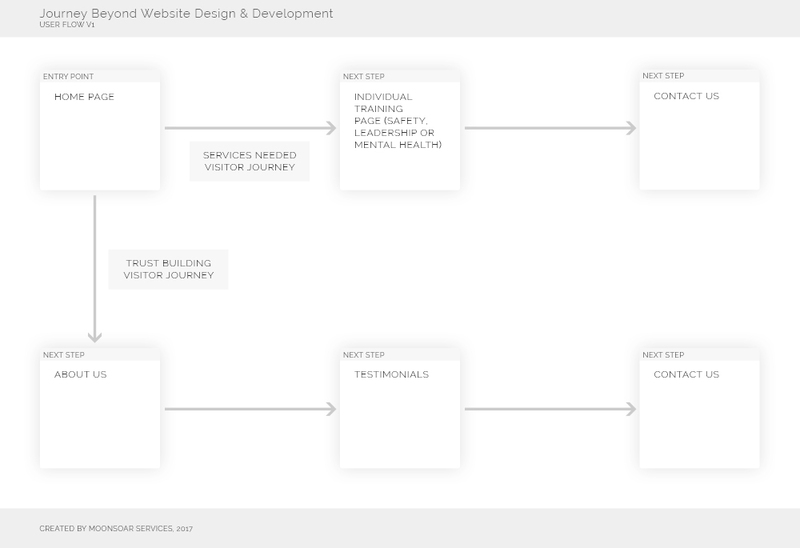 From this point, we defined a user flow that would drive website visitors to get in touch with our client. We determined that there would be two different types of people who are looking at the website – visitors who had met the client at a training event or through a call and wanted to know more about the services provided, or visitors who were looking specifically for these services and wanted to know more about the client himself. This meant we needed to build a user journey that helped to build trust in the client, and another that helped to showcase the quality of the client’s services. 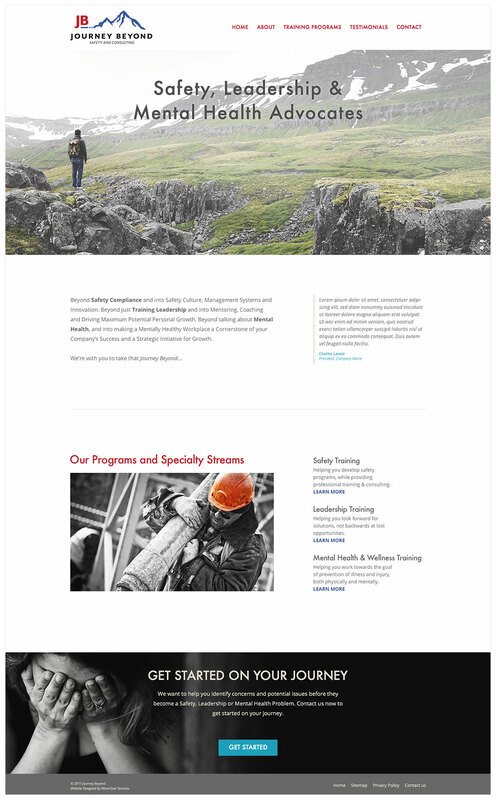 Once this was completed, we moved to the design and development phases of the website, bringing together the branding, styling, architecture and user journey that we had developed for the client. This website was build in Squarespace.